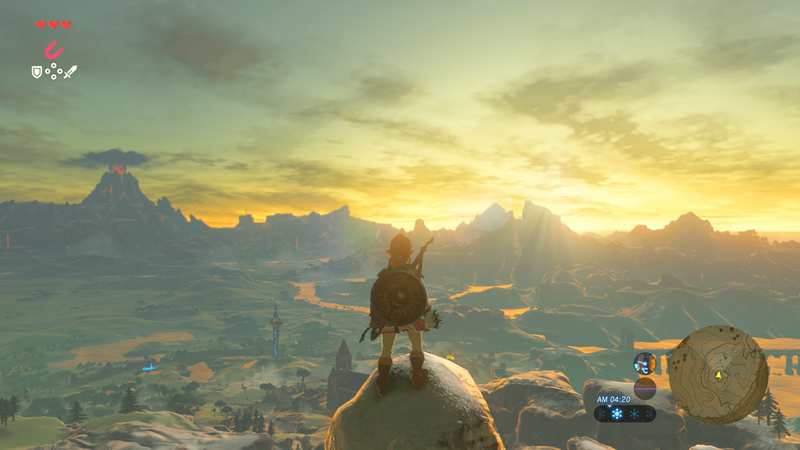 The Legend of Zelda Breath of the Wild Datamining Begins! Well, it was only a matter of time. 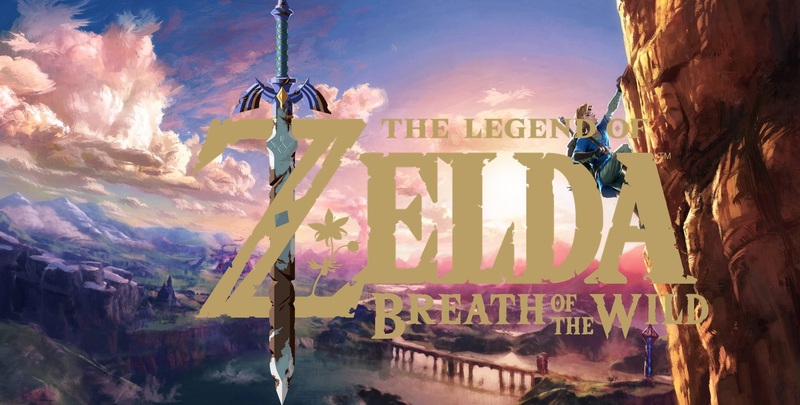 Thanks to the game being leaked early and the files being shared online, people have begun tearing Breath of the Wild to shreds looking for new information and assets from the game. And so (like we did with Paper Mario and Pokemon), it’s time for us to delve deep into the leaked content from Breath of the Wild. But before we do so, just one quick warning. Basically, there will be spoilers here. I mean okay, we don’t know what the final boss looks like, and the music hasn’t been posted online just yet. 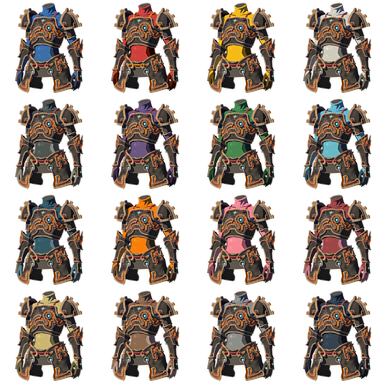 But there are many, many interesting assets people have datamined from this game. So if you don’t want to be spoiled, then stop reading now. Just go away and do something else. Like say, play a bit of Pokemon GO and take advantage of the recent gen 2 update. Or maybe challenge a few friends online in Super Smash Bros for Wii U. Or maybe whine about spoilers on Twitter. That’s a common thing people like to do now. Still with us? Well, it’s your choice. So let’s start looking at the datamined assets! 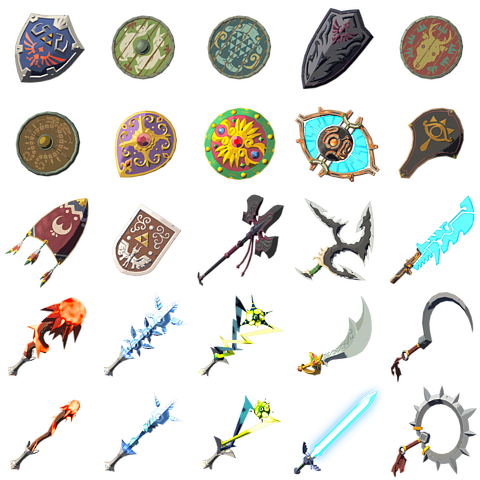 Starting with a few of the various weapons and shields you can find within the game. 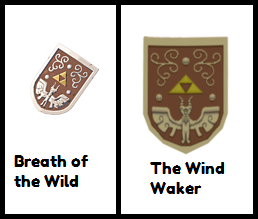 Interestingly, it seems like certain items here come from The Wind Waker, like the Hero’s Shield you get at the start of the game. So yeah, it makes the timeline placement of this game pretty ambiguous. 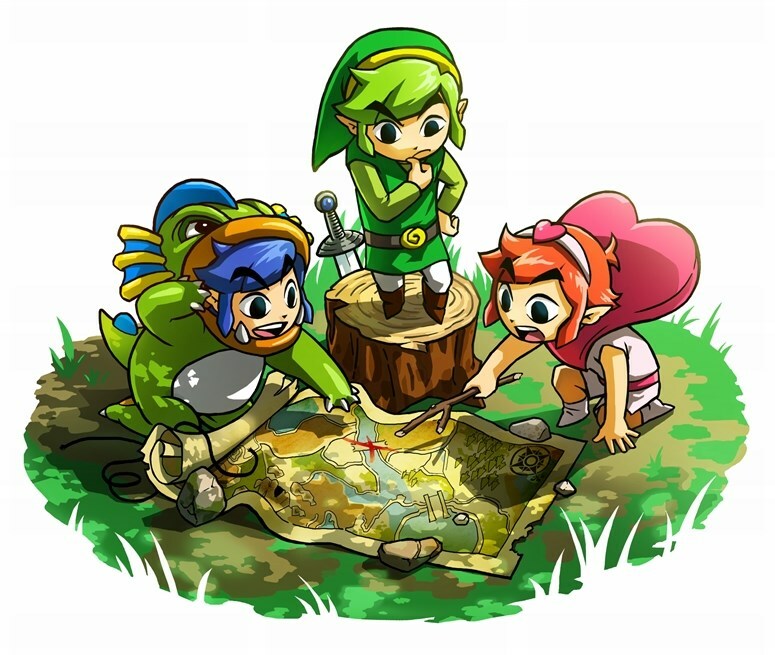 But The Wind Waker isn’t the only game to get referenced here. Oh no, it seems Majora’s Mask is referenced here too! Cause yes, that’s the Double Helix blade right there. The very weapon Fierce Deity Link uses when you play as him in a boss battle. And that’s not the only reference to Fierce Deity Link either. Oh no, his whole outfit seems to be a costume for Link in this game. As does one based on the original Link design from Zelda 1. So yeah, we’ve got references to both the Adult and Downfall Timeline here. The references continue in the costume selection. 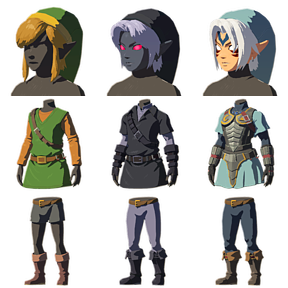 For example, note how the lower set of costumes seem to be based on Sheik from Ocarina of Time, complete with the same general clothing and icons. However, it’s not just references that are interesting here. Oh no, it’s the sheer amount of customisation you can do in this game as well. I mean, what’s even left now? 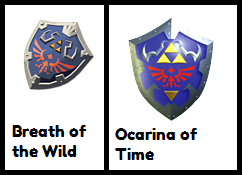 So yeah, seems Nintendo’s a few steps ahead of you there. 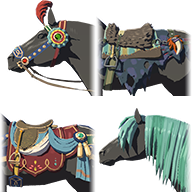 Let’s just hope the horse armour doesn’t become premium DLC somewhere along the line! Finally, here’s a bit of footage showing the game being loaded up from the Game Pad. It’s not much, but it’s potentially an example of the thousands of videos likely to be posted online soon. But hey, what do you think? Did you find any of these leaks interesting? Or are you just waiting for endgame footage to start appearing on YouTube instead?